Chateau-Sur-Mer is like a stunning lady who got a facelift. Some loved the result; some think she was already beautiful. The original estate was constructed in 1852, long before the ornate mansions of the Vanderbilt families, Berwinds, and Oelrichs. After earning a large fortune through the China trade, William Shepherd Wetmore employed Seth Bradford to create an impressive Italianate villa on Bellevue Avenue. The home, which would soon be named Chateau-Sur-Mer, was to become the grand summer home of the Wetmore family. 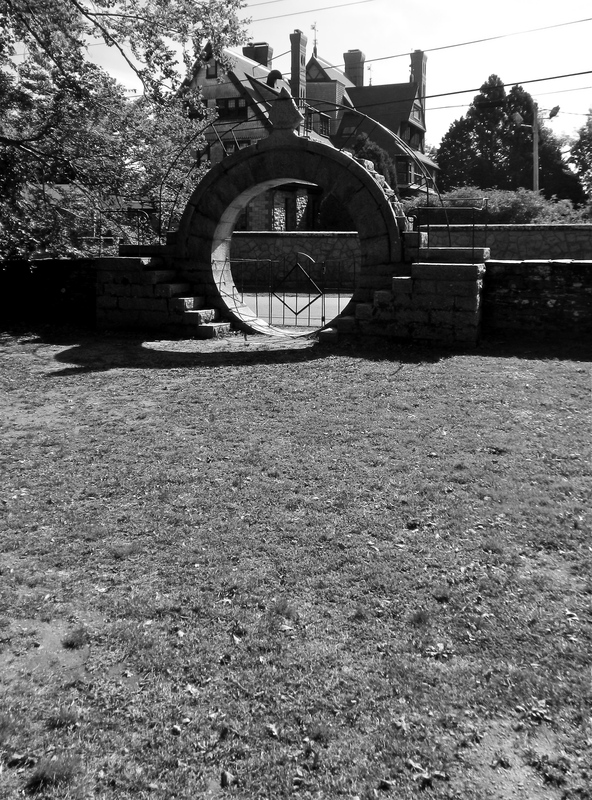 The Chinese Moon Gate with a stone chair at the top. When the home was built, the seated person could see the ocean. Wetmore made his fortune from the China trade, and even had a home in China. 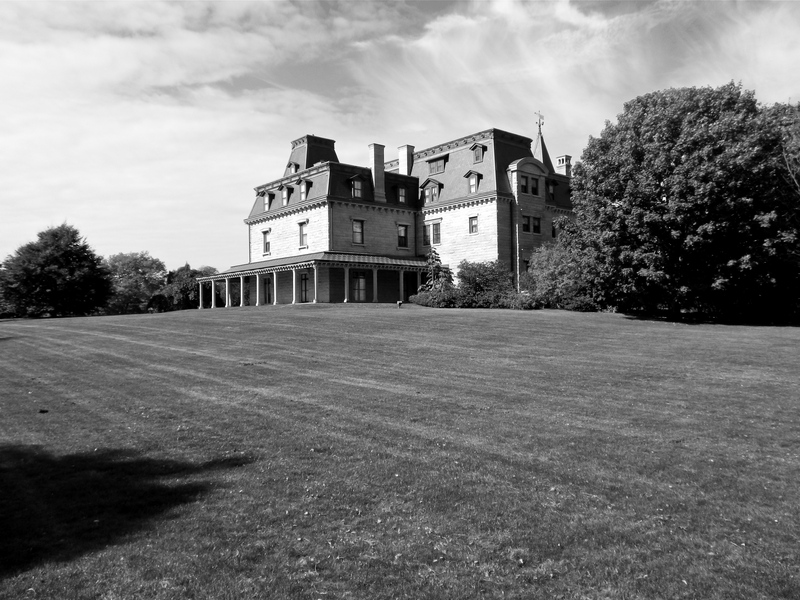 At the time, the chateau broke the mold by using stone instead of wood in comparison with other estates already established throughout Newport. When the home was completed, it was larger than the others, but that was about 40 years prior to the mammoth homes Newport is known for today. 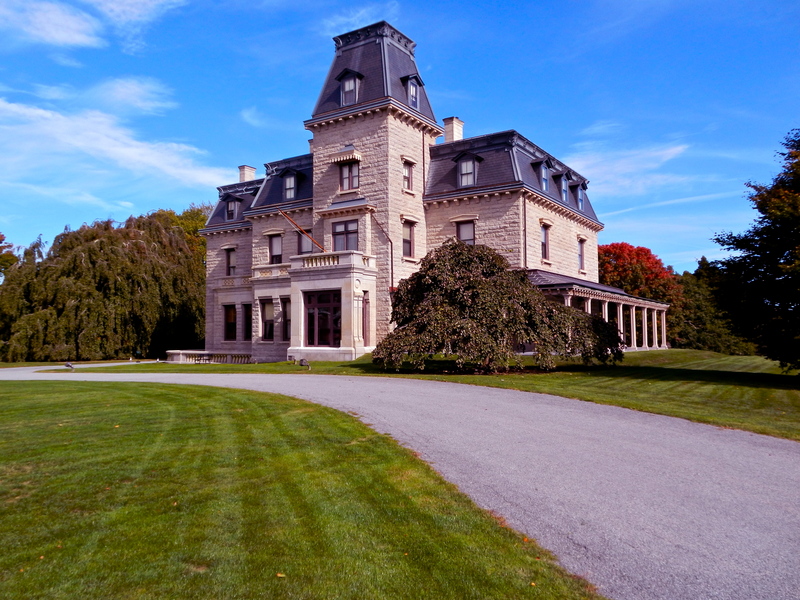 The 35-acre estate was built using rough-cut Fall River Granite. The unique material enabled the home to create a look unrecognizable in other cliff side establishments. Unlike some of the homes along Bellevue, Chateau-Sur-Mer is set back significantly from the main road, giving it a stately look littered with beautiful trees. 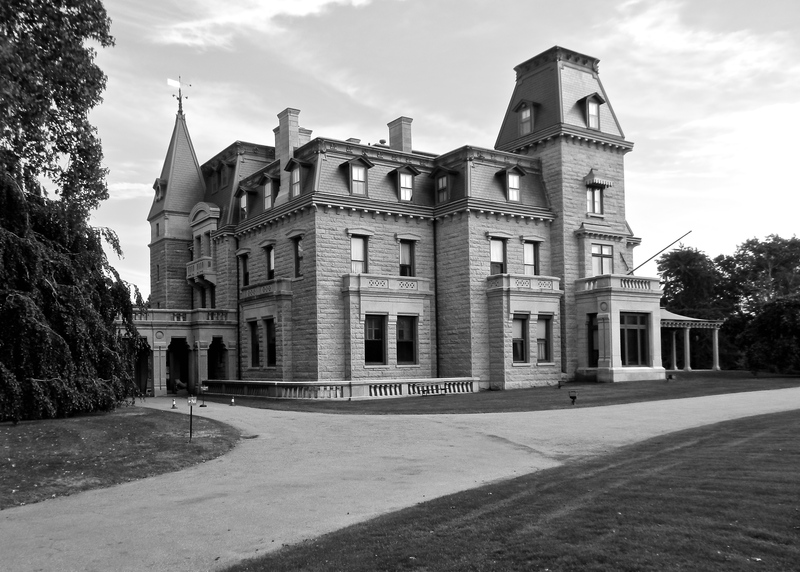 Wetmore’s luxurious home was the spark that ignited the development of the grandest homes in Newport. One of the most infamous events held at the estate was in honor of George Peabody. The financer was a native of London, and a particular friend Wetmore valued deeply. Between 2,000-3,000 people graced the event, socializing under tents throughout the grounds. The official name of the Englishman’s gathering was Fete Champetre. 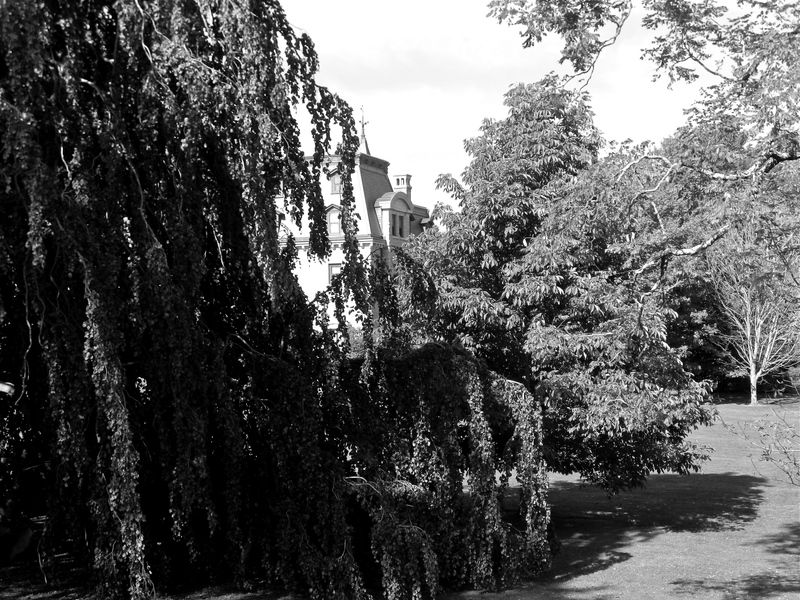 Chateau-Sur-Mer hiding behind a beautiful Weeping Beech Tree. Southeast lawn of the estate. 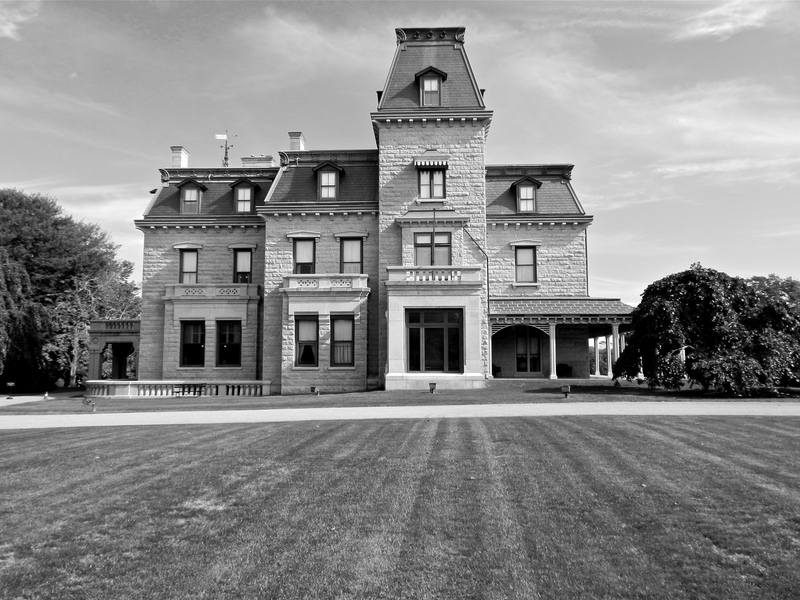 In 1862, only 10 years after the original construction of Chateau-Sur-Mer, William Shepherd Wetmore passed away leaving his large summer retreat to his son George Peabody Wetmore. At the time, his life was already on the fast track in the political arena, but it did not stop him from undertaking a massive project with the famous Newport address. Richard Morris Hunt was hired to completely transform the estate so much so, many did not recognize it to be the same house they once loved. To some, the house was now spectacular, while to others, a little cold. George Peabody Wetmore’s new entrance on the north facade. The entrance was moved to the northwest corner where a porte-cochere was added. Once passing through the entrance, the butler escorted the guest to a grand, three-floor room with balconies on each level to await the arrival of the host. The original entrance became a large hall between rooms loaded with fine art. If you pay attention to the architecture on the outside of the home, it is clear where the former entrance was. Where a servant’s wing once stood, Wetmore transformed space into a 1000 sq ft billiard room. During George’s life, he served twice as governor of Rhode Island and even climbed in to a seat in the United States Senate for three terms. Wetmore passed in 1921. With the house passing to his daughters Edith and Maude, a slightly more feminine elegance interrupted the overwhelmingly masculine chateau. The southwest room was transformed into a Louis VX styled parlor. In 1968, Edith Witmore passed with most possessions being auctioned off. 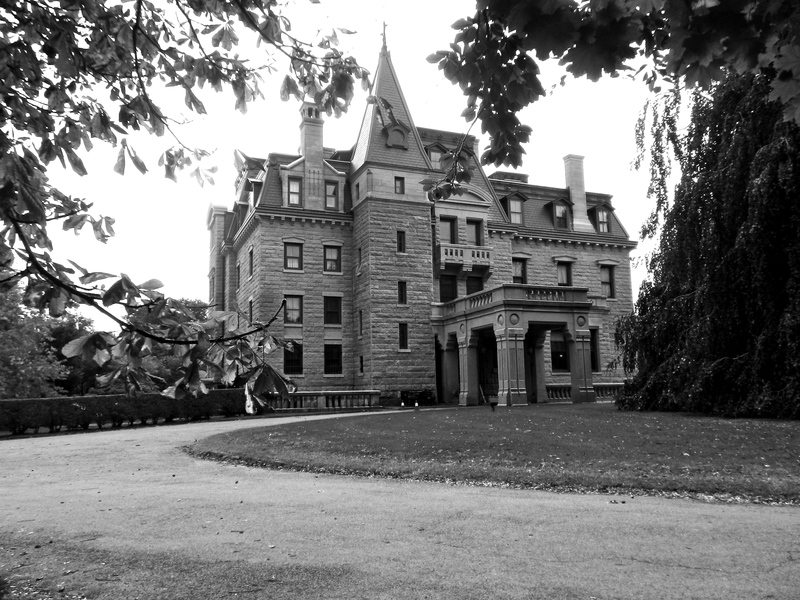 The Preservation Society of Newport County acquired several, and even obtained the house. 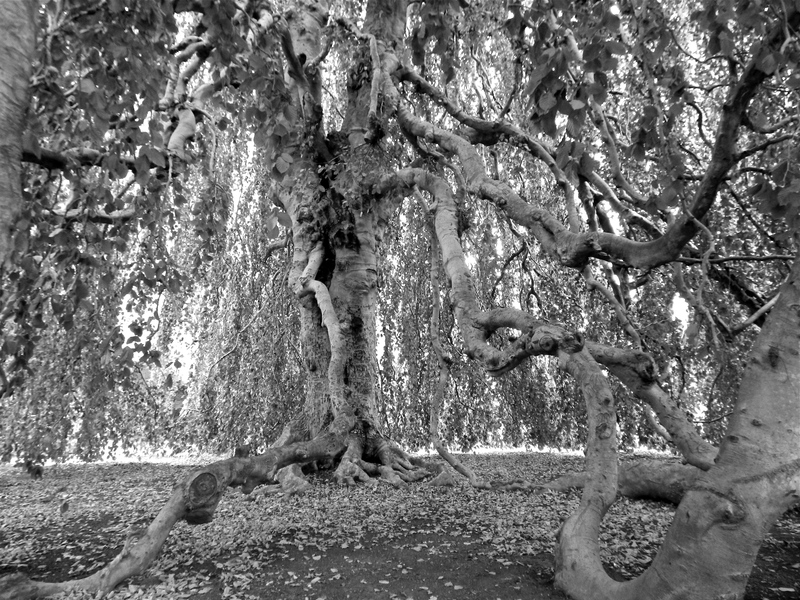 Inside the Weeping Beech Tree. Unlike many of the other houses in Newport, Chateau-Sur-Mer is rich with deep wood walls and beautiful wooden floors. Often, I felt as though I was on a movie set. When I stood in on the first floor of the grand entry hall, Everything above seemed fake, as if I could open the bedroom doors and there would be tables with food for actors to munch on between takes. Don’t confuse fake with cheap. There was nothing cheap looking about this house- In fact, the only reason it appeared fake was because the third floor balconies, lights, and doors were built to be slightly smaller than the same features of the second floor. The illusion was crafted to confuse the guests in to believing the room was much taller than it actually was. Under the tall tower is the former entrance of Chateau-Sur-Mer. Overall, my impression of this house was that I’d love to spend the night, but I would be nervous I would see a ghost. It has that dark, eerie, haunted mansion feel to it. I was waiting for a butler to run in and say the maid was dead on the pool table and the killer was someone in the room. Chateau-Sur-Mer is a must see on Bellevue Avenue. 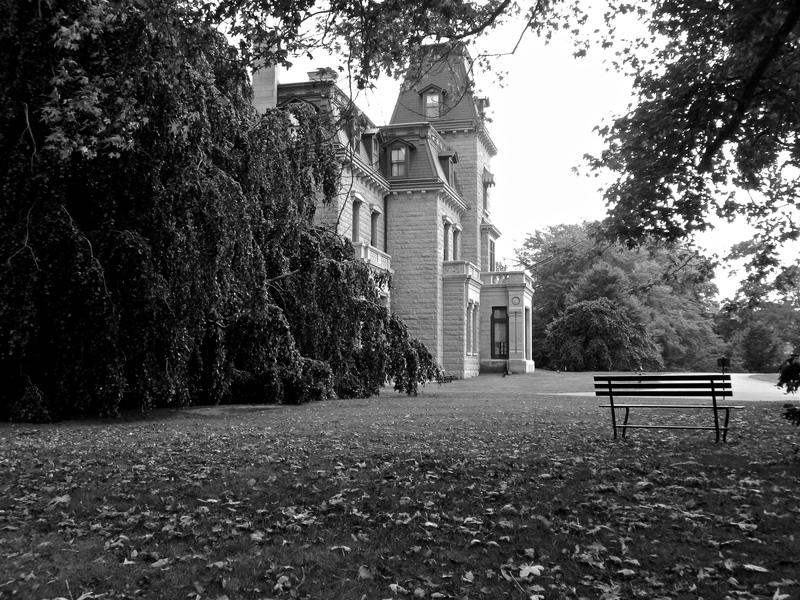 “Chateau-sur-Mer.” http://www.newportmansions.org/explore/chateau-sur-mer. N.p., 2015. Web. 11 Jan. 2015. SO witty and engaging. Fabulous photos too. I love it!